In an increasingly global market, finding a stallion that appeals to the worldwide breeding industry is always a coup. That is currently where Coolmore sits with new recruit Pride of Dubai, whose record and pedigree tick boxes for breeders around the world. A son of the late Street Cry, Pride of Dubai was bred, raised and raced in Australia. He finished third in his first start before earning blacktype when second in the Group 3 Sportingbet Blue Diamond Prelude next out. Two weeks after the Prelude, he pulled off the challenging feat of breaking his maiden in a Group 1 when winning the William Hill Blue Diamond Stakes to stamp himself as a serious 2-year-old. He doubled up on Group 1s in April when winning the Inglis Sires Produce Stakes. Injury sidelined the colt for exactly 10 months, and when he finished 10th in the Group 3 Eskimo Prince Stakes in early 2016 it was discovered he’d reinjured himself. He was retired soon after the race to Coolmore Australia where he stood during the southern hemisphere season for a fee of $55,000. A few weeks before that breeding season, it was announced that Pride of Dubai would stand in Ireland for his first northern hemisphere season. When one looks at Pride of Dubai’s pedigree, it’s easy to see why he’s a fit for Australia and even North America to an extent. He’s the only stallion in Europe by Street Cry listed in the Weatherby’s Stallion Book, which isn’t surprising since Street Cry spent his whole northern hemisphere career in Kentucky. 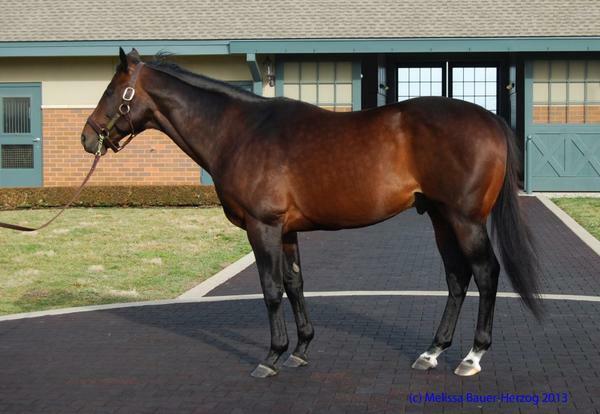 Street Cry doesn’t have that many “big” sons standing in the northern hemisphere but two of those, Street Sense and Street Boss, have proven that he is successful at producing sire sons. Street Sense won the 2006 Grade 1 Breeders’ Cup Juvenile and became the first horse to pull of the Juvenile/Derby double when winning the Grade 1 Kentucky Derby the following year. He is the sire of seven Grade 1 winners in both hemispheres, 36 stakes winners overall in the northern hemisphere and six group stakes winners in the southern hemisphere. His Australian Group 1 winning son Hallowed Crown does reverse shuttle to Europe. Street Boss has been a quietly good sire since his foals hit the track in 2012 but 2016 was a breakout year for him. 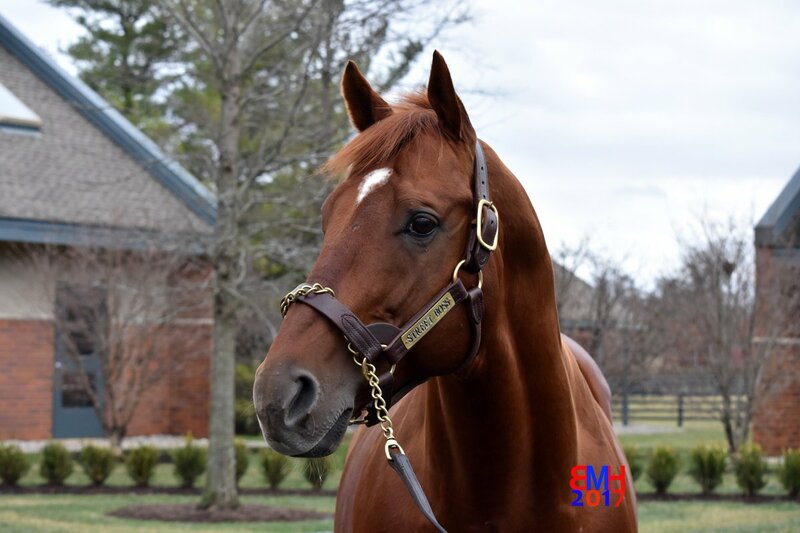 He sired the Grade 1 Longines Kentucky Oaks winner Cathryn Sophia, Grade 1 American Oaks winner Decked Out and in Australia Group 1 Lexus Newmarket Handicap winner The Quarterback throughout the year and as of Feb. 8 already has 15 winners and one stakes winner this year in North America. Street Cry himself produced 18 Grade or Group 1 winners, including supermares Zenyatta and Winx, with his final crop of foals turning two this year. 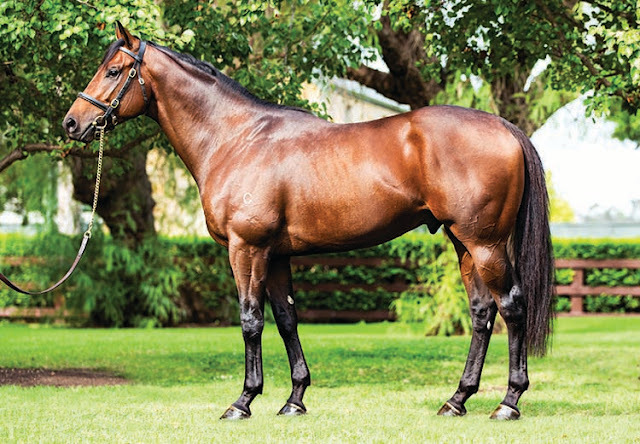 The interesting thing about the stallion is that he gets successful runners on both dirt and turf with horses such as Street Sense and Breeder’ Cup Juvenile winner New Year’s Day having Grade 1 success on dirt with Group 1 Emirates Melbourne Cup winner Shocking and Winx among those with major successes on turf. This could prove to be a good thing for Pride of Dubai if he gets a chance to show that he can also throw multi-surface runners. 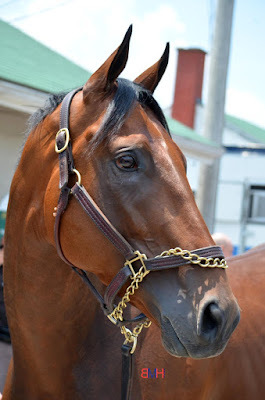 Pride of Dubai is out of the Danehill mare Al Anood, who was stakes placed. 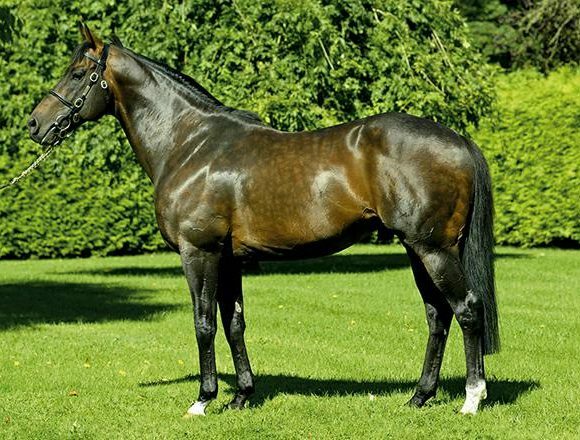 The third foal out of the mare, Pride of Dubai was also the third stakes winner with his three years older brother Al Aneed (More Than Ready) winning a listed stakes and his year older brother Enaad (High Chaparral) winning the Group 2 Elan Gold Cup in South Africa. She also has a 3-year-old unnamed colt by High Chaparral and a 2-year-old filly by Medaglia d’Oro with a yearling not yet listed on Equineline. Al Anood is a half-sister to Group 1 winner Rafha (Kris), who may be better known as the dam of Group 1 Stanley Leisure Sprint Cup winner and sire Invincible Spirit (Green Desert) and group stakes placed and successful sire Kodiac (Danehill) among her five stakes winners or placers. Her stakes winning daughter Massarra is also the dam of 2011 Italian champion 2-year-old filly Nayarra (Cape Cross) and two other stakes winners. Both Al Anood and Rafha were produced by the winning mare Eljazzi (Ataius), who is responsible for more than 20 stakes winners as a dam, granddam or great-granddam. Many of Eljazzi’s progeny have gone on to produce winners and producers. The more prolific is probably her son Invincible Spirit, who is the sire of 49 group stakes winners and multiple sons with a good chance to make it at stud. He is also the broodmare sire of six group winning horses, including Group 1 winner Sound of Freedom (Duke of Marmalade). Another encouraging factor about Pride of Dubai is that when looking at his page, something that sticks out is that six of Eljazzi’s daughters have produced at least one stakes winner with many of those stakes winners also producing stakes winners or placers in addition to Invincible Spirit and Kodiac's successes as sires. Pride of Dubai’s third dam, Border Bounty (Bounteous) and a few of her daughters seem to have had a nick with Petingo (Petition) and Niniski (Nijinsky II) but other than a Danzig/Danehill (and the expected Northern Dancer bloodline in general) success, it looks like Eljazzi and her daughters liked a variety of stallions. This should work well for Pride of Dubai, who only has one line of Northern Dancer in his pedigree in the fourth generation. It opens him up to go back to those Northern Dancer lined mares from lines such as Sadler’s Wells (Galileo already has a Group 3 winner from the family as does Sadler’s Wells). Even Invincible Spirit mares could be an interesting cross with Pride of Dubai as the closest inbreeding would be Eljazzi at 3 x 4, with everything else at least one generation behind her. His lack of Northern Dancer inbreeding should also play to his favor if breeders try to copy the nick that seemed to work so well with his sire. Of Street Cry’s 38 Grade/Group 1 and 2 winners, 23 of them (60.5 percent) have Northern Dancer in the first four generations of their damsire’s line. A little surprisingly since he was a major force in Australia, only six of those graded stakes winners come through Danehill’s branch of the family. The broader Danzig family, however, is responsible for nine of the 38 horses on the list. Another Northern Dancer line that seemed to do well with Street Cry was Storm Bird’s branch of the family with five of those 38 from that line. Importantly since Pride of Dubai will be standing in Ireland is that Sadler’s Wells has nicked well with Street Cry, two of them are the broodmare sires of the Grade 1/2 winners. Non-Northern Dancer horses who showed up in the broodmare sire’s line for more than one horse were Hail to Reason, Speak John, Sword Dancer, Mill Reef, Seattle Slew and Sir Tristram. So while Northern Dancer is the most successful nick here, those who want to go with a more proven cross that doesn’t include Northern Dancer still has a variety of options. Pride of Dubai is standing his first season at Coolmore Ireland for €15,000 (approx. $15,992/ £12,790), putting him in the same fee range as new sires like Awtaad (Cape Cross), Bobby’s Kitten (Kitten’s Joy) and Harzand (Sea the Stars).